Did you enjoy this year’s Hampton Court Flower Show (my 10 year old self would never thought I would be saying that)? 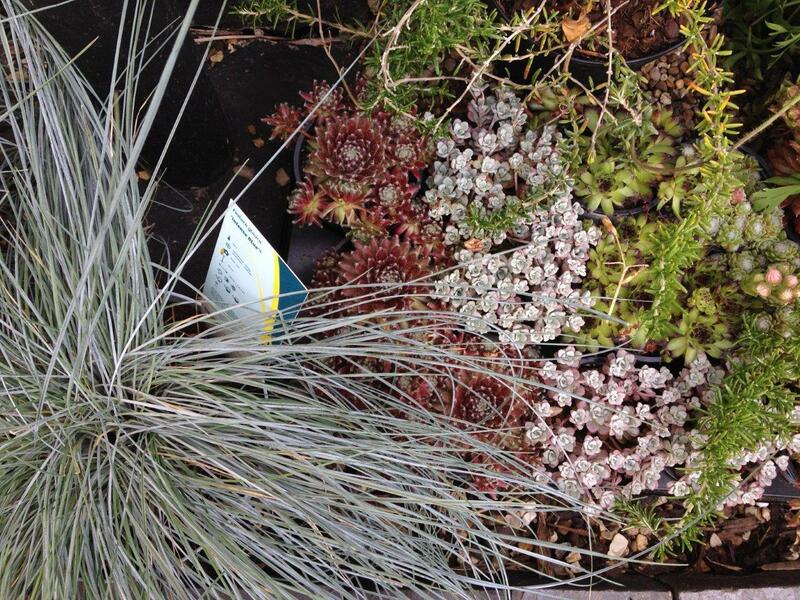 Some top plants there and a bit of plant envy on my behalf. Which were your favourites? It is great to see such a variety of plants from around the world, inspiring the designs. I particularly liked A Space to Connect & Grow, Hedgehog Street and the outdoor living Al Fresco garden. 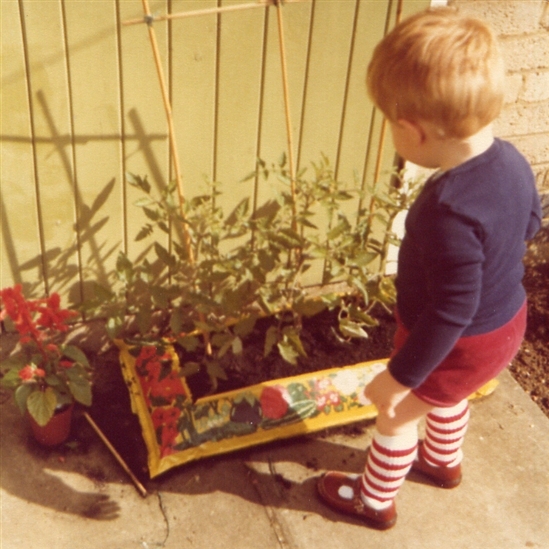 I think my Mum and Dad must have done a good job on me (see pictures at the end of this post) as I have managed to pick up loads of plant names over the years – even the science names. Which makes me chuckle that I geek out on that just like a birder does with names like Calidris canutus. The beauty of pretty much starting from scratch in a garden is that you get to choose a bunch of lovely plants (sad for the wallet though – although Mum has promised a load of freebies from her garden). The first on my wish list were the herbs – practical for cooking and also great for the (good) bugs. 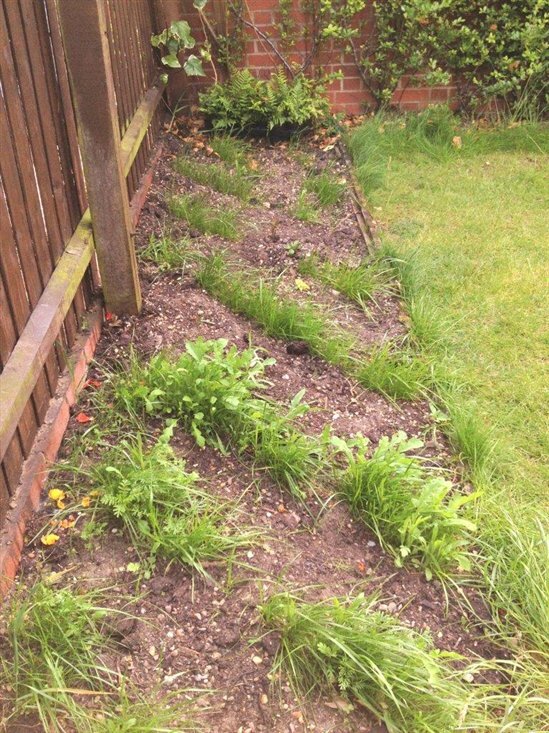 I also followed the advice of Mister Titchmarsh and planted some wildflower mix in rows so I could distinguish what was a weed and what wasn’t. To be honest I think it looks a bit weird and happily accept most weeds into the mix – after all the definition of a weed is just a plant in the wrong place. 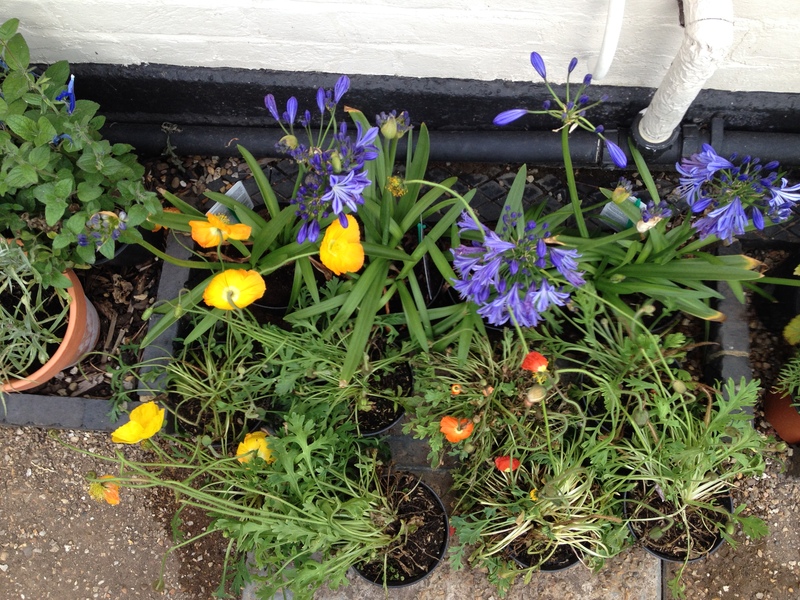 These will compliment the other bright flowering plants like the beautiful blue Agapanthus inspired from my trip to the Scilly Isles. Next up in the Murray family plant parade were the more hardy greens. 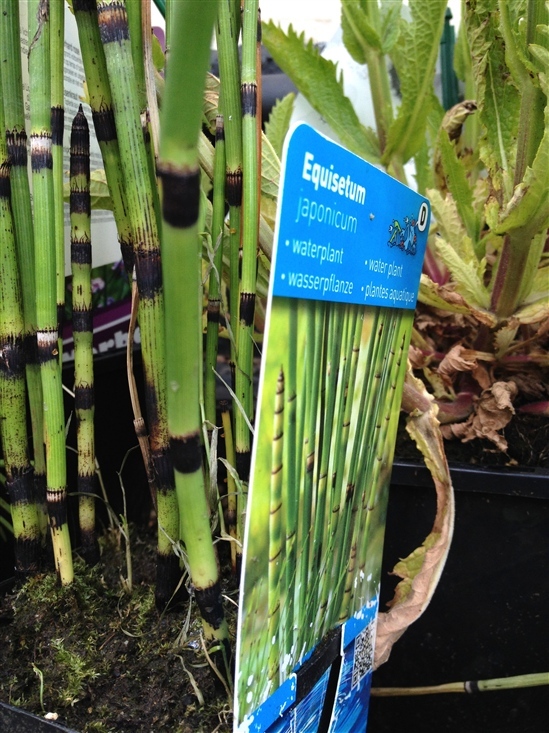 Firstly the horsetails for the bog garden, which I love because they haven’t changed since the dinosaurs, and then the succulents, which will cope with the sun trap and poor soil. Have I shown you my sedum hanging basket yet? Speaking of experts, have you seen the latest videos that were put together by our dear friends at RSPB Flatford Wildlife Garden – not only can I pick their brains about plant choice but they have these Top Tip vids to help me give nature a home. 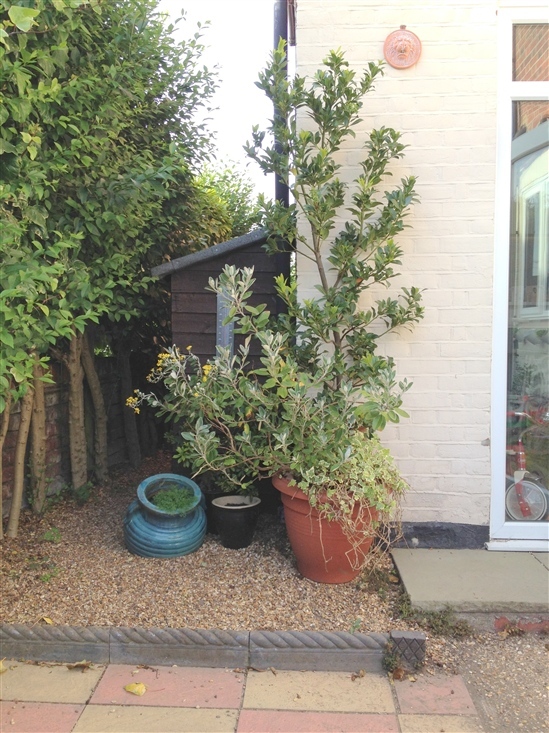 So with the beginnings of my plant wish list underway and after removing all the horrible pea shingle from our horrid 1980s near-dayglo patio, by Georgia I think we are underway. Next time we will be looking at laying down a bit of the hard landscaping and finally looking at giving all those beasties a home (thanks to Shirley's film debut). If you have been inspired by what you have seen recently then please leave your comments below. 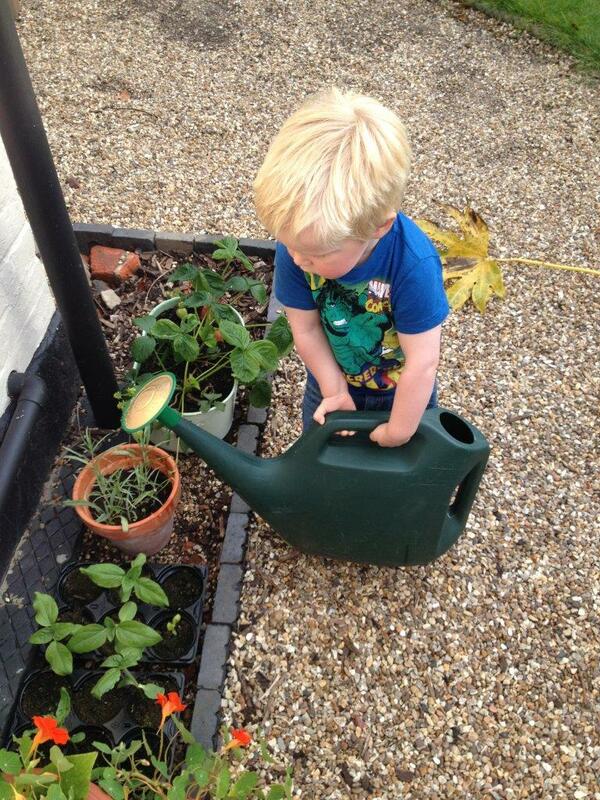 In the meantime enjoy these pictures of my son (July 2014) and I (July 1981) doing the obligatory watering of the plants.